The policy terrain and content in Africa is changing rapidly towards a more competitive, inclusive and modern continent. An important aspect of this rapid change is the recognition that evidence is critical in identifying the most effective interventions for optimum development outcomes and thus transformation. Yet, the use of scientific research evidence in policy and programme processes remains relatively limited in the African context. Limited capacity for evidence use is documented as a key factor in limiting evidence use. This is despite increasing interest in evidence-informed decision-making initiatives for and by public officials. Moreover, there continues to be a dearth of evidence about which strategies strengthen capacity for the use of evidence in policy and programmes and which aspects of capacity most influence the use of research- particularly in varying policy cultures and context in Africa. There is growing consensus within a widening network of policy actors and researchers about the value of identifying evidence gaps that are inhibiting the development and implementation of effective and responsive policies. Additionally, increased collaboration is being seen as beneficial both to those who generate and those who use evidence. 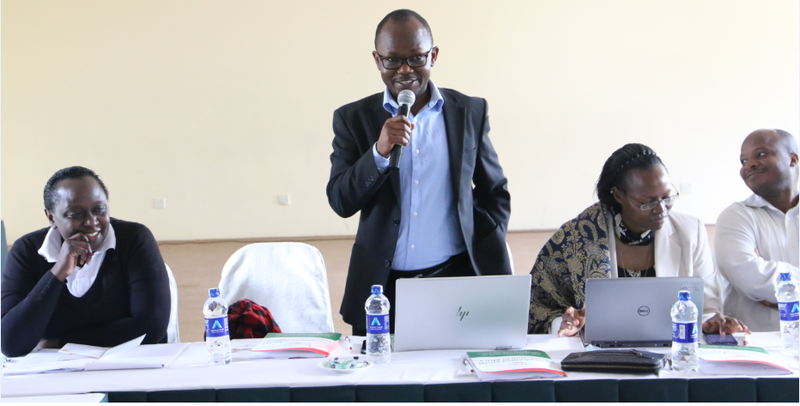 Recognizing the importance of a well-grounded approach to EIPM, PASGR and partners have since 2015 implemented a model for bridging the gap in evidence and policy processes known as Utafiti Sera. Utafiti Sera is informed by the growing body of evidence that suggests that Evidence Informed Policy (EIP) stakeholder relations based on the linear type of relation between research and policy needs are ineffective in dealing with ‘policy messiness’. Instead, Utafiti Sera approaches EIP through the institutionalisation of negotiated and strong governance relationships between policy actors. The Utafiti Sera model intentionally creates safe spaces where researchers, policymakers, and citizens obtain a better understanding of policy processes, are more aware and involved in the conceptualisation and conduct of research and thus constitute a joint construction of the evidence. As a result, several regional forums (also known as houses) have been established with some evidence on the efficacy of this policy communities approach. To build on the momentum from the Utafiti Sera EIP work in the region, PASGR and partners, with support from the Robert Bosch and Hewlett Foundations are convening an Africa-wide forum involving representatives from across the globe to identify concrete ways to take forward an African-defined and led EIP agenda. 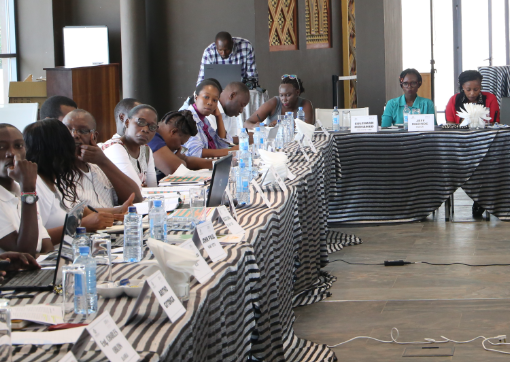 We recognise that there has been significant growth in the number and spaces for actors in the emerging evidence-informed policy-making terrain in the continent and that this growth has come with some increase in the quality and quantity of innovative approaches to policy uptake. The result is a promising culture of evidence use and promotion in policy making in the continent. The proposed convening will build on these efforts and body of evidence. It will be an opportunity to chronicle the concrete and practical innovative ways in which researchers have worked with policy actors, decision makers, and other stakeholders to advance evidence for policy action and making in Africa. It will be a space for interaction between evidence generators and evidence users to promote uptake for improved decision making and an opportunity to explore actual practices, concrete experiences, various challenges and the dynamics of EIP work in Africa. Through this convening, participants will explore and share how the African policy-making and policy advocacy terrain is evolving to identify, what, in actual practice and the concrete experience of participants, make a difference in enhancing EIP. The convening will explore among other issues: what kinds of institutional engagements and arrangements work; what kind of policy actor-researcher relationships and engagements most facilitate research-uptake; what strong and coherent advocacy strategies provide for effective EIP; and what kind of time frames best support rapport and relationship building? The convening will bring together practitioners, researchers, scientists, activists, government officials, and policymakers, who will consider and discuss the potential transformation that a strong African ecosystem of evidence driven by communities of interest can bring to bear. The participants can visit the following tourist attractions at their own leisure. The museum is open on all 356 days throughout the year from 0830hrs -17300hrs. Nairobi National Museum is located at the Museum Hill, approximately 10 minutes drive from the Nairobi city centre accessible both by public and private means. Built in 1929, this is the flagship museum for the National Museums of Kenya, housing celebrated collections of Kenya’s History, Nature, Culture and Contemporary Art. The Nairobi National Park is the only park in a city in the world Wide open grass plains and backdrop of the city scrapers, scattered acacia bush play host to a wide variety of wildlife including the endangered black rhino, lions, leopards, cheetahs, hyenas, buffaloes, giraffes and diverse bird-life with over 400 species recorded. Visitors can enjoy the park’s picnic sites, three campsites and the walking trails for hikers. The AFEW (African Fund for Endangered Wildlife) Giraffe Centre is located in Langata, just outside Nairobi. The centre has been ostensibly set up as a breeding centre for the endangered Rothschild giraffe, but now operates conservation/education programs for Kenyan school children. There is good information on giraffes available here, and an elevated feeding platform where visitors meet the resident giraffes face to face. The AFEW centre is also home to Giraffe Manor, a beautifully maintained colonial home, now an exclusive guesthouse. 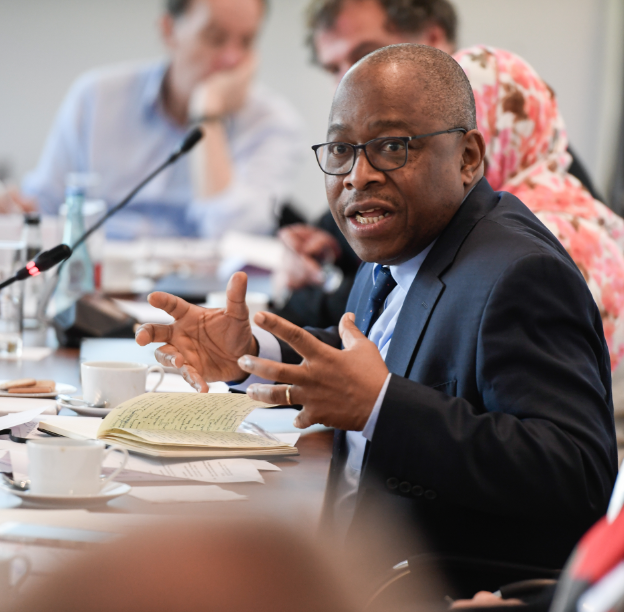 PASGR supported by the William and Flora Hewlett Foundation and the Robert Bosch Foundation will hold a two-day Forum on Towards a Pan-African Transformation on May 2- 3, 2019 to explore Innovative Approaches To Evidence Uptake & Use in Africa.